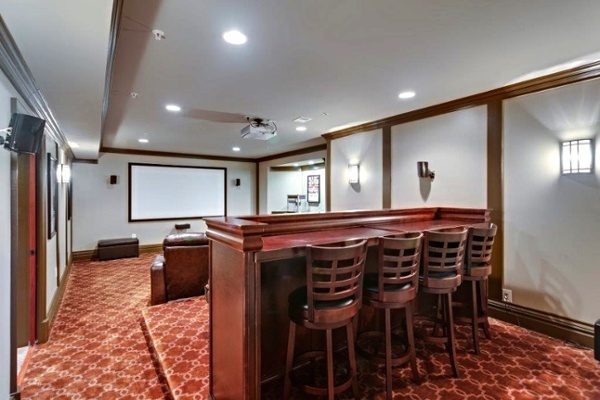 When you have an empty room and nothing to put in it, thinking outside of the box for an interior remodel can really pay off like it did for these Bethesda homeowners. 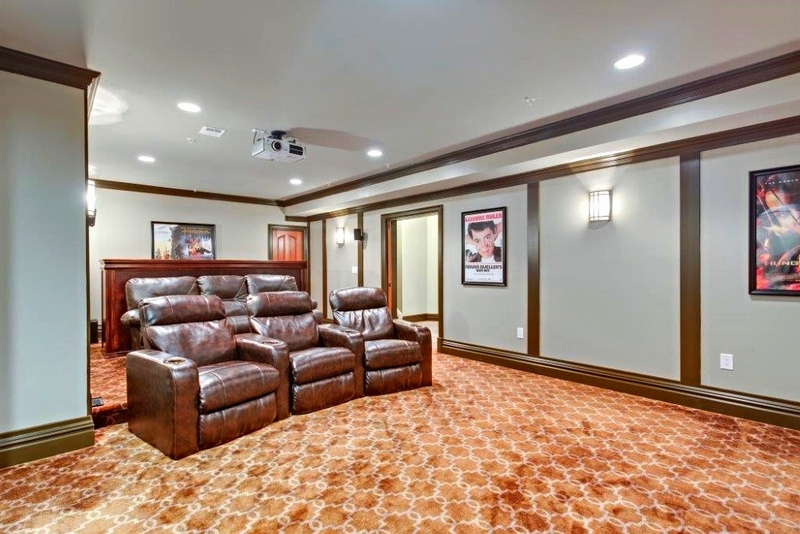 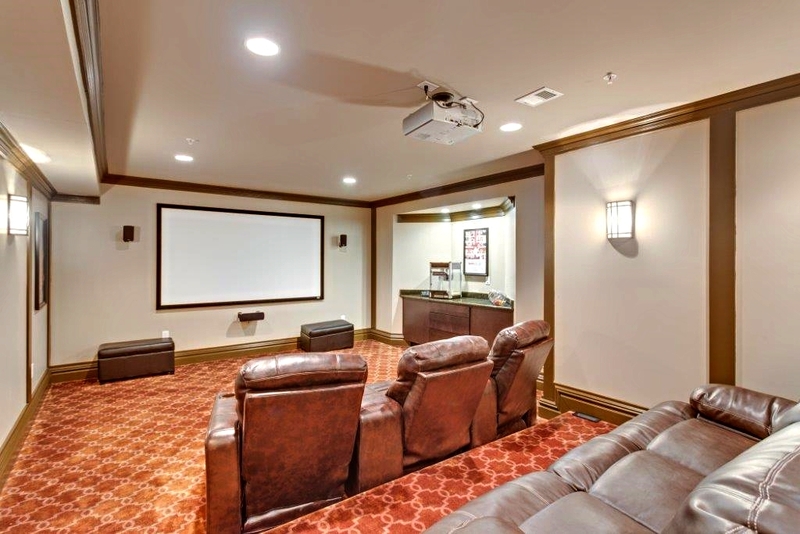 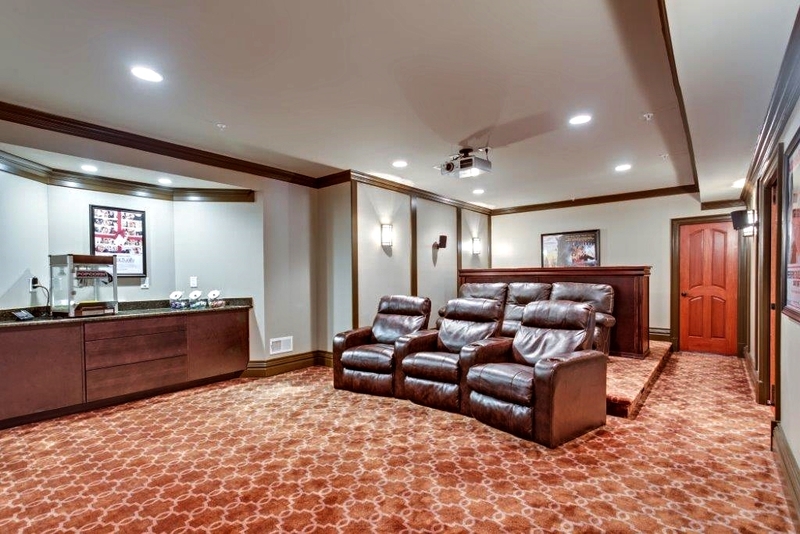 This media and entertainment room is more of a private home theater, complete with a powerful projector, surround sound, bar seating, and six leather lounge chairs complete with cup holders. For that personal touch, movie posters (Ferris Bueller's Day Off was an obvious choice) hang between sconce lights and wood trim panels. Integrated ceiling lights are dimmable, of course.